This year, the University of Illinois at Urbana-Champaign popped onto my list of ‘Public Ivy’ schools for the first time since I started Educated Quest. I happen to be an alumnus of the university—it’s where I earned my first master’s degree—and I have been back to campus several times, most recently in 2012. I felt that it was time to do an update, since the university has become more popular with prospective students outside of Illinois, even on the East and West Coasts. I also searched for pictures to update the Pinterest page. The University of Illinois at Urbana-Champaign is one of America’s 37 original ‘Land Grant’ universities, established through the Morrill Land Grant Act, signed in 1862 by President Abraham Lincoln. The president signed the act to support the establishment of public universities that offered education in agriculture as well as engineering. Today, the University of Illinois has more than 32,000 undergraduates enrolled in ten degree-granting colleges. Its alumni base, one of the largest in the world, is quite national and global for a state university. You are quite likely to run into former Illini when you travel to any major city on the East or West Coast, especially in San Francisco or New York. You are also more likely to see undergraduates from there, and several other states and countries, than you might have seen nearly 40 years ago when I was there. Ten percent of the most recent freshman class came from China. Among flagship state schools that have over 30,000 undergraduates, only UCLA does better than the University of Illinois at graduating a freshmen class. Over 70 percent of the students who entered in 2010 and 2011 earned their degrees within four years. This is impressive, not only because the university is so large, but also because it has some really large introductory courses. Nearly 10 percent of all courses taught in 2016-17 had over 100 students. The last time I visited the university, I saw an introductory economics course taught in Foellinger Auditorium, a historic venue on the main academic quad that seats over 1,500 people. Not every seat was taken, but most of them were. The University of Michigan-Ann Arbor and the University of California-Berkeley are noted in the education press for having a very active campus life, much diversity, and very student focused college communities. The University of Illinois is much like these sister schools, with over 1,000 student organizations, more programs and events than students could ever possibly attend, athletic and performing arts facilities among the nation’s best on a college campus. But the campus and community are more isolated from larger, the student body is larger, and sports fans more “fair weather.” However, the positives of this school far outweigh the negatives for anyone who wants a large university experience. 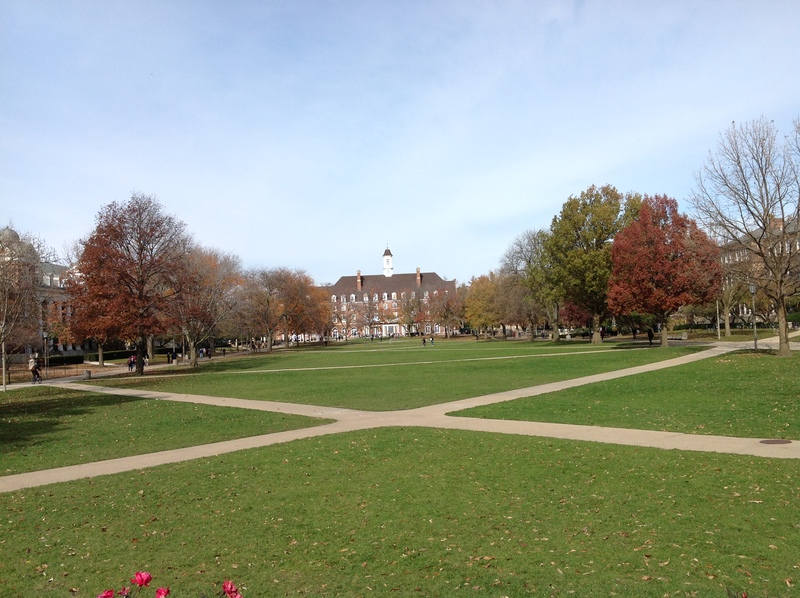 Check out my update on the University of Illinois at Urbana-Champaign! Check out the University of Illinois at Urbana-Champaign Pinterest page!